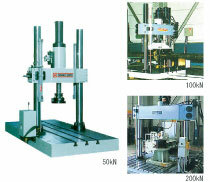 FT Series provides a broad range of fatigue testing on materials, components and finished goods to conduct advanced research, quality control checks and optimize process. The simple and reliable frame suits for pursuing accuracy and finding solutions in various industries. The standard type covers the capacity up to 200kN. * There is a type of upper actuator on the cross head. 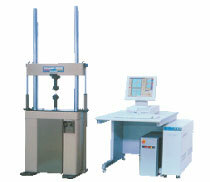 ST Series suit a wide range of fatigue testing on structure, material and components, which need to be fixed on a base plate. A servo hydraulic actuator equipped with cross head covers the capacity up to 300kN.